Today were released 2 new songs featuring Tony T : DJ Baba & Iman Amity's - Do You Love Me and Freaky Noize - Life Is Better. Tony T was featured on Yunberg's forthcoming single Just Be My Baby. Tony T was featured by Maison & Dragen on their single Party In Rio. Buy it on Juno Download. 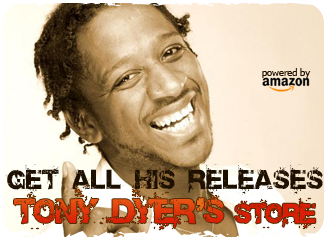 Since Amazon is closing their aStores, I created a new page with links from which you can purchase all records featuring Tony T.
Tony T was featured on Ian Turner's next single Creator. Tony T was featured on Piridelmar's single Never Alone. Lyrics video was created by RG Prod (Ricardo Gonçalves). This is the first single from Piridelmar's new album which came out on June 21st. Tony T was featured again by DJ Combo, on forthcoming single Happy People, which is planned on June 23rd. Today sees the release of the brand new single from Mike Candys & Tenashar featuring Tony T Put Them Up, on ETNA Recordings. Tony T teamed again with Ian Turner to record single #1, to be released on January 13th. He also visited Alex Dat's single By Your Side. Tony T was featured by Ronny Rox on single Let's Go. Tony T and Alba Kras were featured by Ouzzo on his single If You, out today. Tony T was featured on Ian Turner's first forthcoming single Tonight. It will be out on August 23rd under XWaveZ. Tony T did vocals on Penn Side & Simone Di Bella's single A New Day. Tony T was featured with Mc Xhedo on Denorecords' forthcoming single Like A Bomba. Tony T was featured on Franques' new single Put Them Down. Tony T was featured on Albanian singer Ertila Koka's single You Only. Tony and DJ Raphael visited DJ Combo & Papajam's new single Boom Boom. Single is planned for release on July 15th. Watch videoclip. Tony contributed to another Alex DJ song : Jump. Tony was featured on B Heaven's new single Alive and it premiered the next day on Youtube. Last month, Tony and Alba Kras were featured on DJ Don John's single If You Want It. It is available on iTunes or on Juno. Instant Crush, Tony T's collaboration with JFMee, was just released. You can get it on Amazon or on iTunes, and discover the videoclip. Tony was featured by on F. Mee on his single Instant Crush under his real name Neal Antone. Tony T and Alba K were featured on K-Me's single You Just Go. Watch videoclip. Discover the lyrics videoclip for Alex DJ featuring Tony T & Alba Kras single Summer Kind Of Love, out today. Tony T teamed again with Iraj, along with Chingy, Neha Kakkar, Yama and Smokio to record hip-hop single Nachna. Videoclip should follow soon. Tony T and Dominik Tone released a teaser for their forthcoming single Be My Girl. Coming soon under Tony's own label Move You Records. Tony T posted the teaser of a forthcoming collaboration with Alex DJ and Alba Kras entitled Summer Kind Of Love. If you missed Tony T as a rapper, here is the videoclip of his new song Have You Seen My Girl, a low-tempo R'n'B track featuring Marek Juggler on chorus, produced by Christoph Allerding and written by Tony T himself. Videoclip was shot at hotel Fairmont The Palm in Dubai. Tony T was featured again by Alessio Pras, this time on single Live Your Life. Coming soon on Andorfine Music. There is now a rap version of Damon Paul feat. Simone Mangiapane cover of Snap! 's classic Rhythm Is A Dancer which features Tony T. Videoclip was directed by ClubKid. Tony T collaborated with Lloyd Lawrence on forthcoming single Feel Better. Videoclip was directed by Lars Skaland, shot in Trondheim last November, and it features Elise Dalby, aka Miss Universe Norway. It should be out around March 2015. Discover the videoclip for MonDj feat. Tony T single Home Soon. Tony T released 3 collaborations the same day : Modana & Tony T - Heaven, Manuel Baccano feat. Alpha & Tony T - We Came To Party and ONdray's single Hear It Tonight. Tony T did vocals on Swiss DJ Alessio Pras' new single Count Your Blessings, a song for this summer's soccer world championship. Listen to it here. Discover the videoclip of Tony T and Nadia aka Beatsistem's collaboration with Johan K entitled Let Us Play. Yesterday, videoclip of Jose AM & Albert Kick feat. Tony T Crazy Cowboy premiered on Youtube. The video of Tony T's new single Superstar Traveller premiered today... for German users only. To be released this year under Warner Music. Tony will record a song with Eva De Dominici, a famous actress, model, singer in Argentina. He recently recorded some RnB tracks with Alba Kras. A free Tony T smartphone app (Android, iOs, Windows Phone and Blackberry) is planned for release. Tony T, Evelyn and Mike Candys appeared on ZDF Fernsehgarten. Tony appeared on Polish DJ and producer Robert M's forthcoming single Famous, along with Matheo, Desa and Akon. Single will premiere on September 30th on radio Eska and Eska TV. The rest of Europe will get a different version and videoclip. And here is another single featuring Tony T : Bodybangers Breaking The Ice, to be released on June 28th. This will be a very busy summer for Tony, since he was also featured on Mike Candys' next single Everybody, to be released the same day. Not forgetting his collaboration with Steve Modana - Crazy ! Official videoclip of Sasha Lopez feat Tony T & Big Ali - Beautiful Life was published yesterday. It was shot in Bucharest one and a half weeks ago, and directed by Alex Ceausu. Discover the videoclip of Ardian Bujupi feat. Tony T Want U Now. Tony T was featured on Yves Larock's new single Surrounded. He also wrote the lyrics. Soulwash and Tony T recorded a French version of their single No Games. They had to edit the videoclip to cut out all the label names. They also added some views from Tony's big concert in Germany. Today Darius & Finlay feat. Tony T Phenomenon is out (in Germany and Austria only), and the videoclip was published yesterday. Shot in Mallorca, it was directed by Stefan Adelsberger and produced by FSM and Twister Filmproduktion. 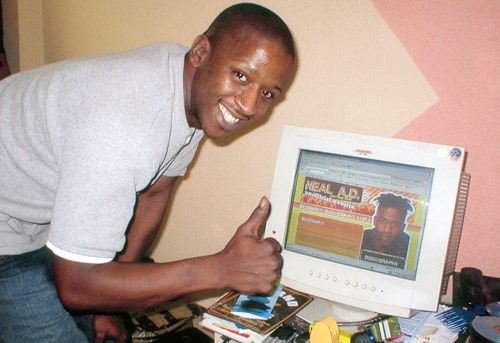 Tony T was featured on Soulwash's single No Games. Watch video. Tony T was featured by Darius & Finlay on the single Phenomenon. They recently shot a very sunny video, and single should be out soon. See the video's photoshoot. Discover the videoclip of Tony T's summer single Way to Rio. Shot in Cala Ratjada (Mallorca), it was produced by Stephan Rauh. Watch videoclip. RIO feat. Tony Dyer released their free official iPhone app. It includes thir latest album, as well as news, biography, tourdates, music videos and an exclusive minimix. Discover the new RIO featuring Dyer Tony and U-Jean single Animal. New album Turn This Club Around will be released on December 2nd. Tony Dyer's current project RIO released a new single entitled Turn This Club Around, featuring U-Jean. RIO's first album Shine On is out. RIO released a digital EP containing 3 tracks (Can You Feel It, Lay Down, One Heart) from their forthcoming album. RIO will tour in Germany in January, February and March. All dates on their Myspace. Yesterday, RIO feat Tony T performed Shine On in Berlin at Welcome 2010 - Silvester am Brandenburger Tor, in front on 1 million persons. The event was broadcasted live on RTL II. RIO presented a new track entitled Serenade. It will be featured on their forthcoming album Shine On. One year after it topped the German charts, RIO - Shine On now entered the French singles charts. Tony will be on stage of Ballermann Hits 2009 in Varna. TV dates : RTL II 25/07 and 08/08. Tony T is touring with R.I.O. in Europe and Israel. All dates here. The project R.I.O. featured Tony Dyer on their last single. Shine On went #1 in many German dance charts and #2 in the European Dance Traxx (thanks to Tavi Meran). Tony contributed to Patrick Bryze & Jim Tonique Better World. Tony was featured on Micha Moor's single Space, inspired from the reggae hit of 1976 I Chase The Devil originally recorded by Max Romeo and The Upsetters. Tony Dyer is back with a new project and a new song entitled Bad Boy (thanks to Tavi Meran). Tony appeared on a track Was ist das Leben Wert by German DJ, rapper and producer Klymax. A video was shot for this song, in which he also appeared. Tony Dyer (aka AD Neal, Neal Anthony Dyer or Tony Tee) was born in London in 16.07.1970. His mom had to work to feed her three kids, and also to save enough money so that the family could all move to New York. At the age of 5, he got his first guitar in London and learned how to play by himself. In 1988 they finally moved to went to New York. "I use to hear my mo sing when she played her reggae music" he recalls. His grandma sent Tony to take piano lessons but it took a lot of transportation time just to arrive there, "I had to take so many buses through the ghetto I was not so happy with going there, so I stopped" Tony explains. He continued his musical training, discovering the breakdance culture, and learning how to sing on a stage. Around 1991, Tony's Mom left New York to settle to Germany. She wanted to have a situation comfortable enough there before her could welcome her kids. Tony was the last to leave New York, because he preferred finishing his studies there, rather than having to go to school in Germany. Since Tony arrived to Germany, he's been recording music (he contributed to more than 200 releases). "And I won't stop as long as God lets me live. I just love music" he explains. 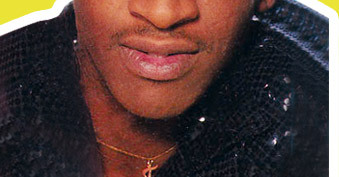 He became rapper for many eurodance projects in Italy (mainly produced by Fulvio Zafret) and Germany (for the labels Insania Records and Dance Master Records). He started touring in 1994, doing more than 100 shows a year. The only time when his face could be known, is when he became a member of the Beat System project. He collaborated with various female vocalists (Martina Sres, Patty, Jay Babe, G. Fascina...). The project released 5 singles, under Intercord label, and an album entitled Refreshiator. On the single Fresh, he teamed with his girlfriend Janet Puzic (aka Jay Babe), who was at this time an English student. He explained that they met together in 1994, while dancing on this song. Fresh wente #1 in Croatia, #9 in France, #36 for 18 weeks in Germany. How he looks back on the eurodance singles he recorded with projects such as Beat System, his feelings are mixed : "Too commercial ? no... Just no heart!". As a matter of fact, he often felt exploited by his former producers. But he keeps good memories of Fulvio Zafret, "he was the only one who was truthful to him ! He's great...". In 2008, he started collaborating with DJ Yanou on the project R.I.O. (label : Tiger records).Their single Shine On was a huge hit, topping all dance charts in Germany. They went on in 2009 with the single When The Sun Comes Down and After The Love. 2011 : in January, RIO released a new single entitled Like I Love You. in April, Tony Dyer was featured on Metaphysics' last single. RIO released a new album entitled Sunshine on May 13th under Tiger Records. Album contained the first singles as well as some new tracks. Their new single was entitled Miss Sunshine. Released the same day, it contained samples of Dance Nation's Sunshine. Then came the singles Turn This Club Around and Animal, featuring U-jean. 2012 : in March, Tony announced that he was leaving RIO and was strating a new solo carreer. A new single is planned for Spring. 2013 : with already 11 featurings only for 2013, Tony confirms his status of one of nowadays most respected and sought-after singers and rappers. Many thanks to WebDJs, Necronomic and Tony T himself.